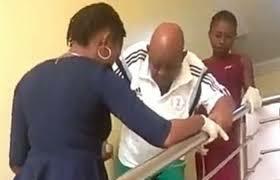 The report that former Super Eagles coach ‘Christian Chukwu is in a sorry state and needs $50,000 dollars for immediate operation in the United States, is indeed false. On the contrary the former Harambee stars of Kenya coach has successfully undergone operation in Enugu State and is recuperating in an undisclosed hotel. Sportinglife.ng further gathered that it was based on doctor’s advice that the Rangers Technical Adviser was asked to stay in a hotel instead of going home after the successful operation to avoid constant disturbance from many who will be tempted to go and visit him.